Whether you’re planning on owning a business, working for a small to mid-size business, or being part of a large corporation, Barry University’s Andreas School of Business will prepare you for success. You will learn essential business concepts, understand the interdependencies of business and society, and be involved in projects that will enhance your experience in the professional world. The School is AACSB-accredited, which ensures that you will receive a quality and internationally-recognized education. 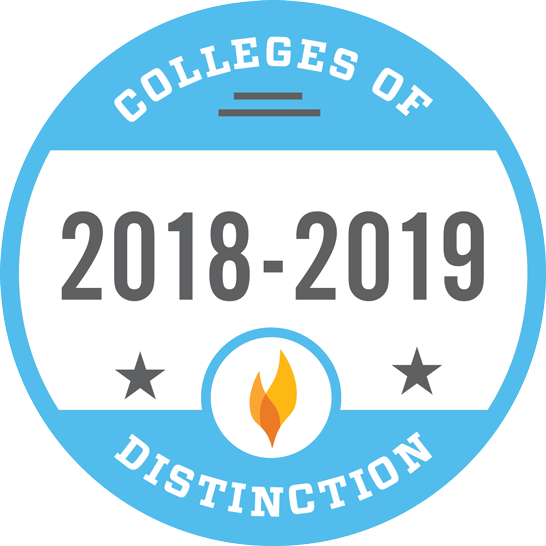 By selecting our program, you have made the decision to receive a degree from a distinguished business school especially since only 5% of the 13,000 business schools in the world have AACSB accreditation and less than a third of U.S. business programs have successfully passed the rigorous evaluation. Have professors who focus on your learning as their primary responsibility. Interact with successful business leaders in your major at the Business Experience events. Have the opportunity to become a member of the Barry University chapters of Beta Gamma Sigma, the AACSB Honors Society, and the Financial Management Association National Honor Society, which have received special recognition from their respective national organizations. Attend a University that the U.S. News and World Report ranked as one of the most diverse campuses in the South. Regularly referred to as the language of Business, as an accounting major you will learn how to translate large amounts of data into meaningful business information by collecting, interpreting, and reporting financial and managerial business transactions. Completing the accounting major will also provide you with the undergraduate academic requirements for the Certified Public Accountant examination, which will get you one step closer to landing that top job in an accounting firm. For more information on the curriculum, please visit the Accounting program website. When looking to master the skills of money management, the finance major is the best route to take. As a finance major, you will learn key finance concepts ranging from designing corporate growth strategies to creating sound investment portfolios. You can also participate in the Student Managed Investment Fund (SMIF), which allows you to assist in managing over $500.000 of real money in real markets. As a SMIF member you will analyze the potential of stocks in different industry sectors, present investment proposals to your peers, and make buy/hold/sell decisions. That is the type of real-world, hands-on experience that gives you an edge. For more information on the curriculum, please visit the Finance program website. Global economies are interrelated. When you choose this major, you will learn the complexities of international markets and how to navigate them. Your understanding of global business will give you a significant advantage that employers find valuable. Want to develop a stronger competitive advantage? Select International Business and a second major to reinforce your business skills. International Business students usually add another major since this combination provides greater opportunities. For more information on the curriculum, please visit the International Business program website. Sharpen your organizational leadership abilities by selecting the management major. You will learn valuable organizational skills like communicating effectively, managing people of different cultures, motivating teams to realize business objectives, and monitoring the efficiency of company strategies, among many others. In addition, you will acquire the tools to be an entrepreneur. 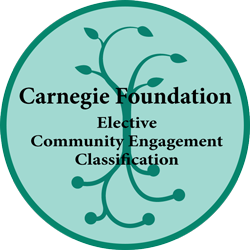 This major will make you an important contributor and exceptional leader in any organization. For more information on the curriculum, please visit the Management program website. Learn how to create campaigns to promote products or services to consumers by selecting the marketing major. Discover the techniques required to understand the consumer, to increase the company’s market shares and to develop a memorable and effective integrated marketing communications plan, among many others. As a marketer, you will have all the tools you need to successfully promote any product or service by drawing on your insights of consumer behavior and your market research. For more information on the curriculum, please visit the Marketing program website. Degree preparation includes coursework in sport and recreation management, leisure programming, sport marketing, law and financial applications, as well as business core courses. The program focuses on a hands-on approach that ultimately prepares you for careers encompassing all aspects of the business-side of the industry. You will acquire the knowledge, skills, and network needed to excel in professions like; sport marketing, facility operations, parks and recreation, and collegiate athletics. The program offers extensive practical work and internship opportunities in a variety of professional South Florida sport teams such as the Miami HEAT, Miami Dolphins, Florida Panthers, and Florida Marlins. For more information on the curriculum, please visit the Sport Management and Business Administration website. By adding one more year to your studies, you can also earn a Master of Science in Sport Management in the BS to MS Seamless program.